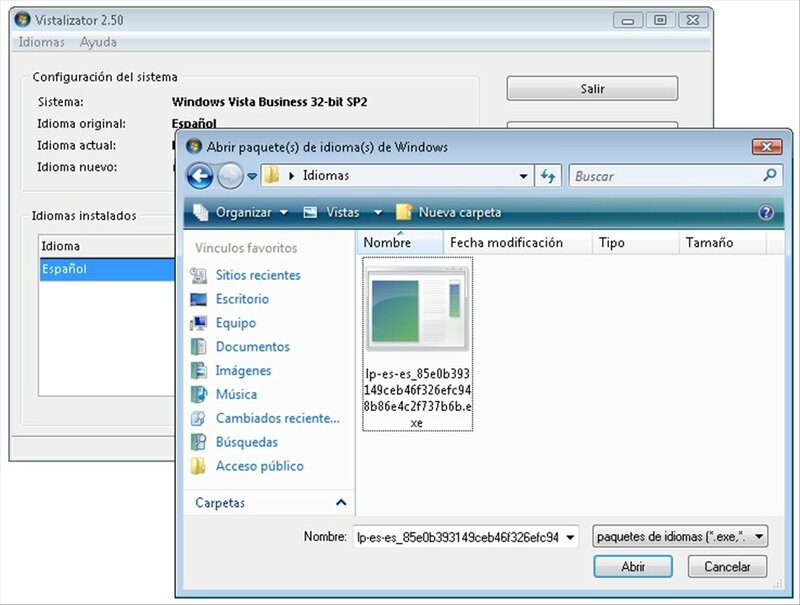 Vistalizator is a tool that allows you to change the language of your Windows operating system. Up until now, only the 'Ultimate' version of Windows allowed you to change the language, but thanks to Vistalizator you will be able to do so on the 'Starter', 'Home Basic', 'Home Premium' and 'Business/Professional' editions. Change the language of your Windows OS in only 5 minutes. Works with Windows Vista and Windows 7 on both 32-bit and 64-bit versions. Use the voice recognition function: works with all supported languages. Vistalizator acts as a language package manager. You'll have to download the packages separately and launch them by means of the application. After the corresponding configuration you'll be able to enjoy the operating system in the language of your choice. 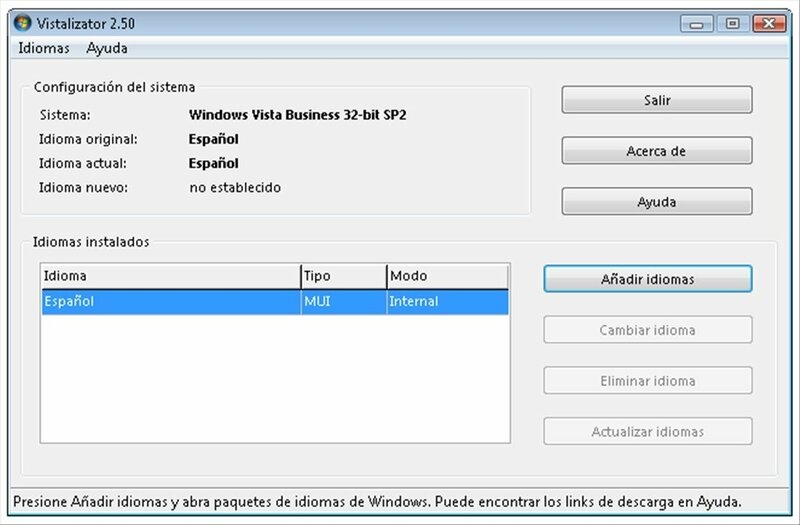 Download Vistalizator for free to change the language of Windows.